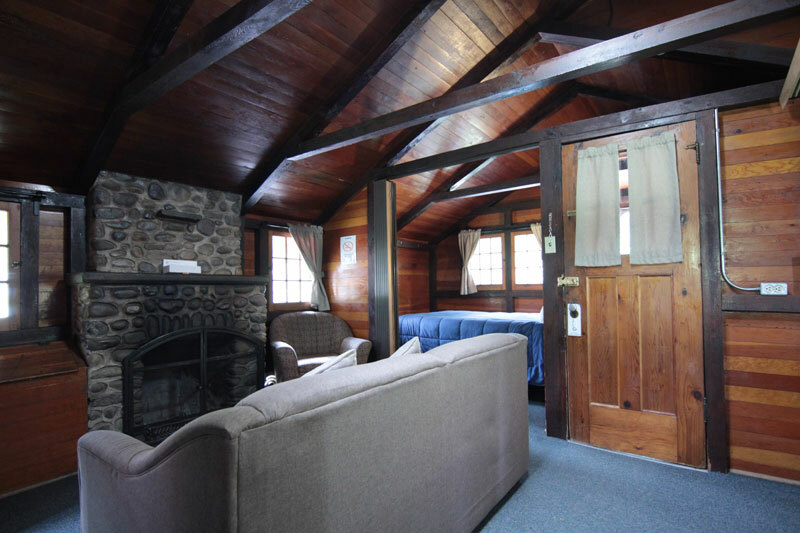 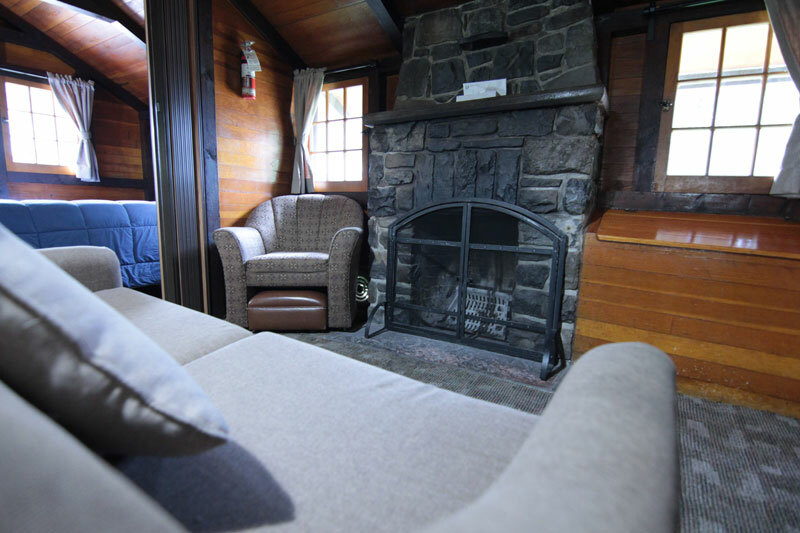 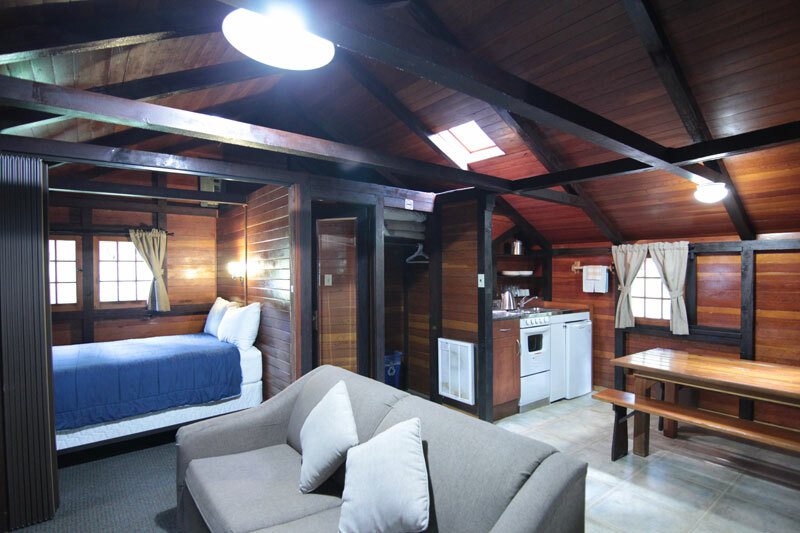 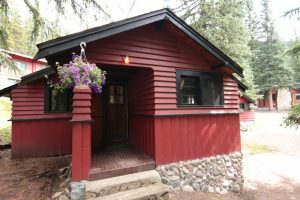 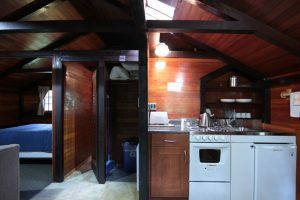 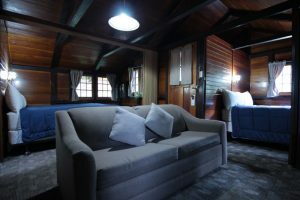 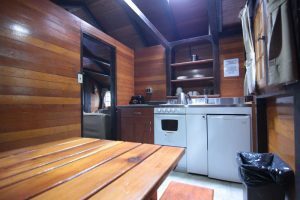 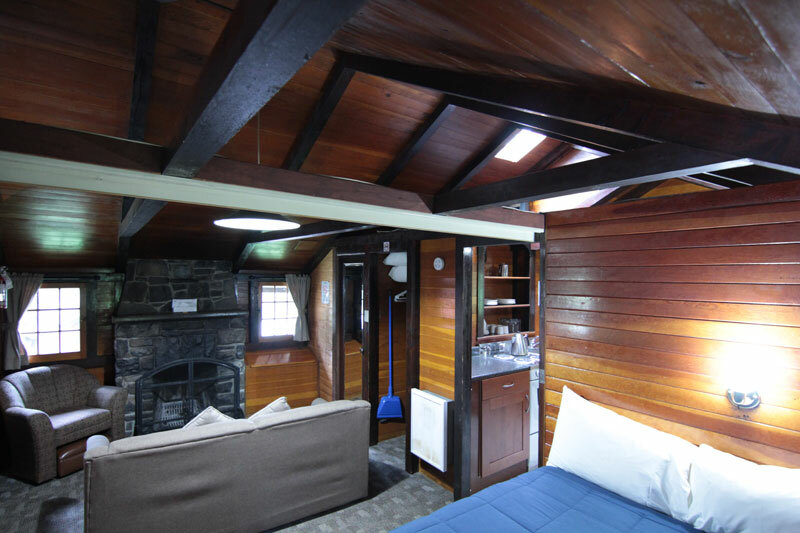 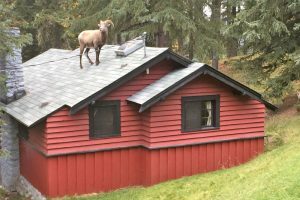 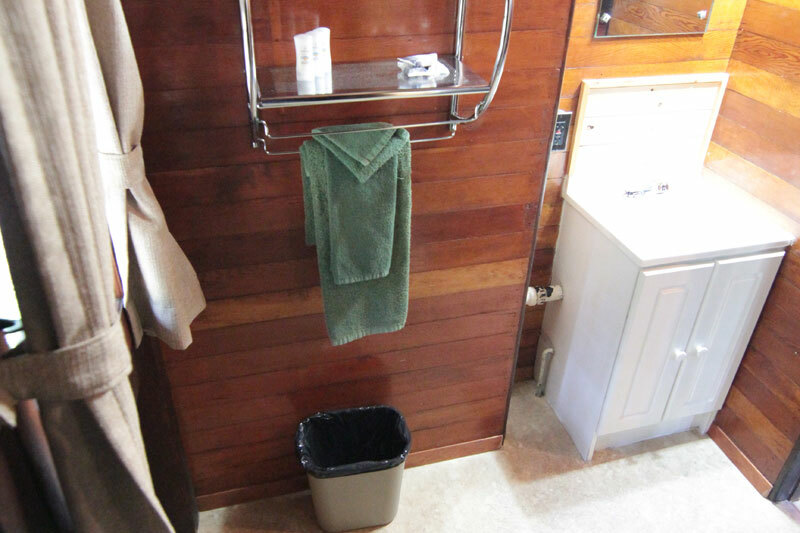 Built in 1938, our unique and historic bungalow style cabins have beautifully hand crafted open beam concept rooms with tongue & groove varnished pine walls. 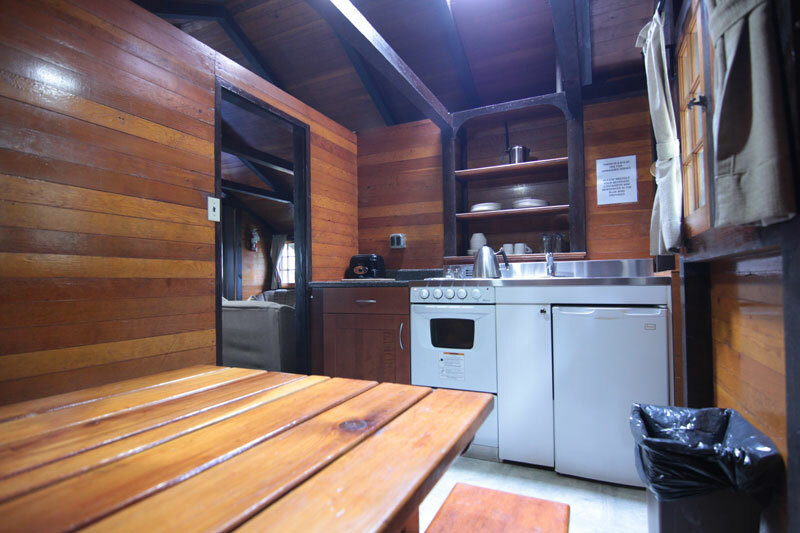 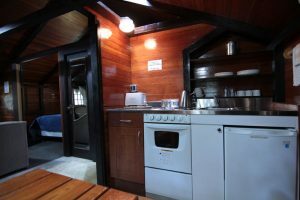 Each have built in kitchenette units with a 4 burner stove, oven, sink, and fridge. 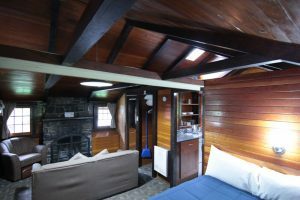 All cabins are stocked with eating and cooking utensils for 4 people. They come complete with a toilet, shower, electric heat, and hand crafted wood burning stone fireplaces. 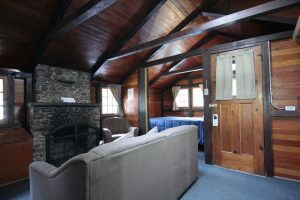 Maximum occupancy is 6 people.